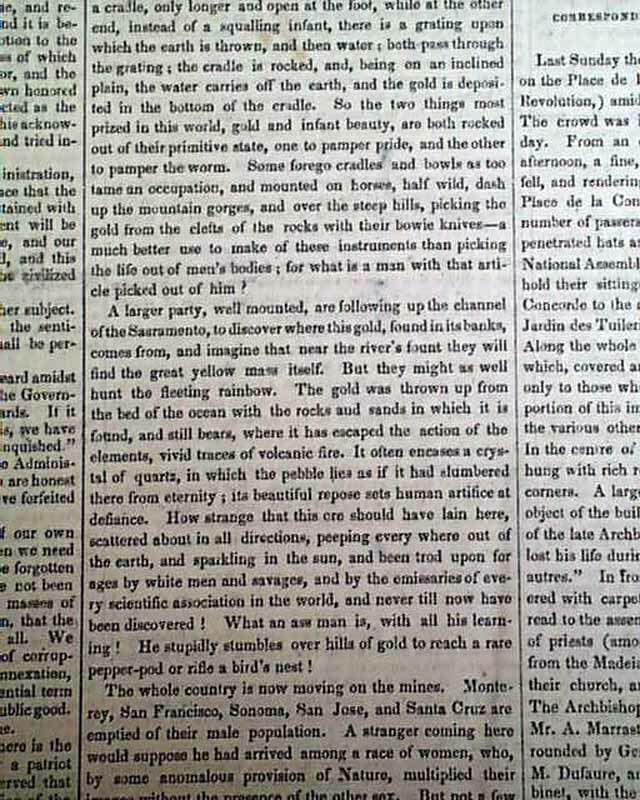 The top of the back page has a column head: "Further Of The Gold Mines" which is an early report on the California Gold Rush. 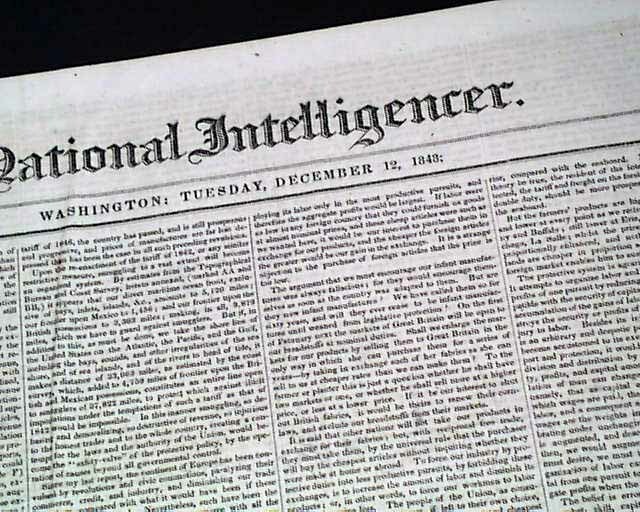 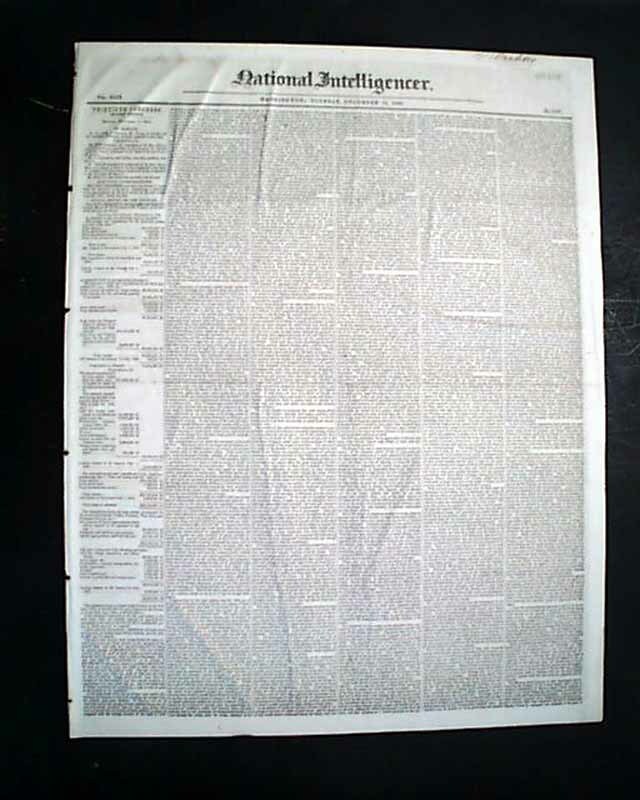 It is primary a lengthy letter datelined "Monterey, California, August 29, 1848". 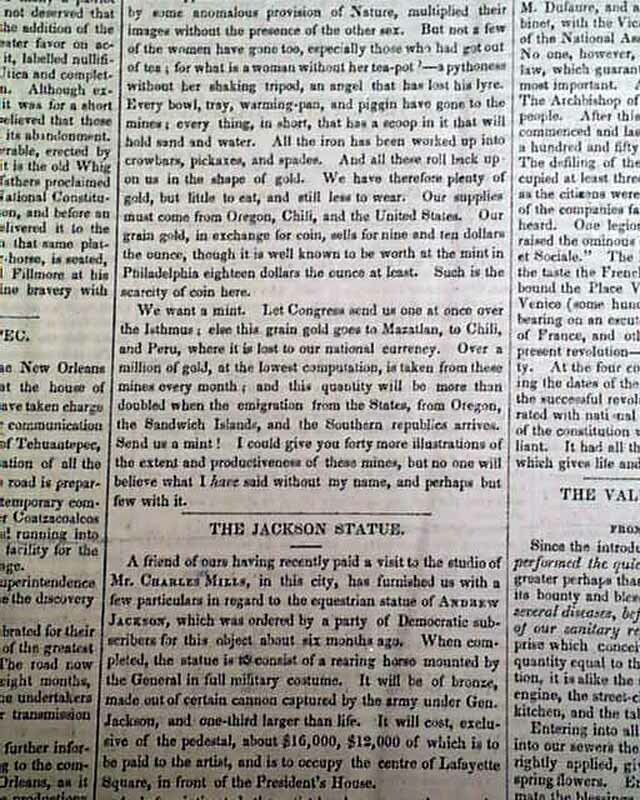 A few bits include: "The gold discoveries still continue--every day brings some new deposits to light. 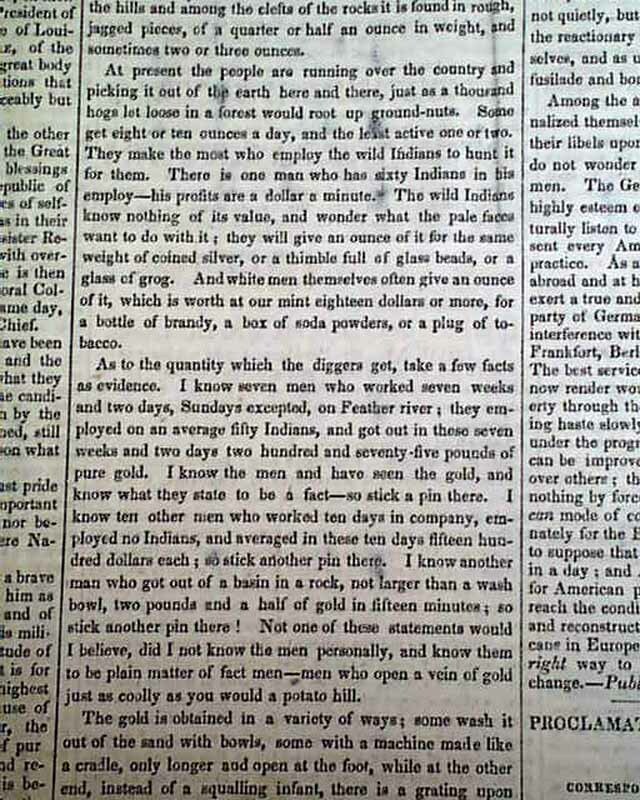 It has been found in large quantities...At present the people are running over the country & picking it out of the earth here and there, just as a thousand hogs let loose in a forest would root up ground-nuts...The whole country is now moving on the mines..." and so much more. 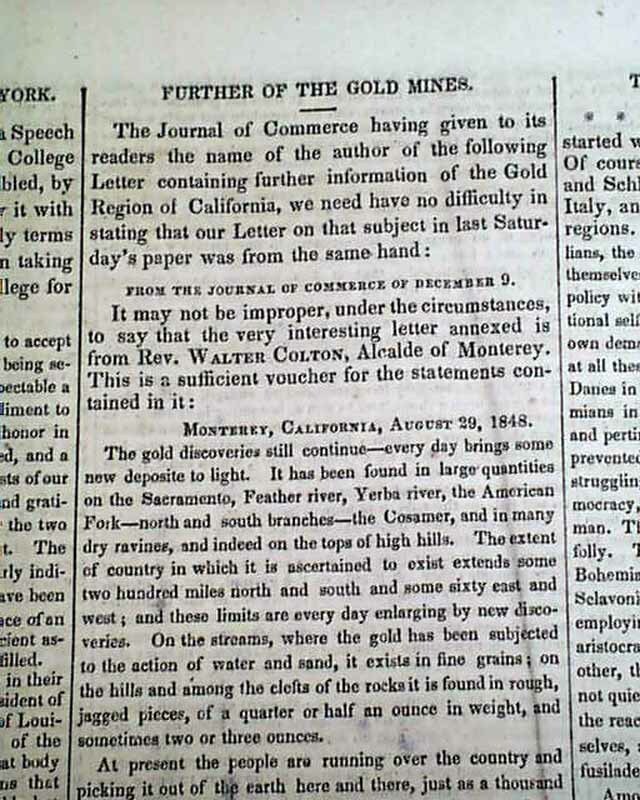 Truly a terrific gold rush letter, and early as the majority of the "rush" was in 1849.